Don’t look now, but Uber is making waves in the shipping industry with the company’s Uber Freight idea. 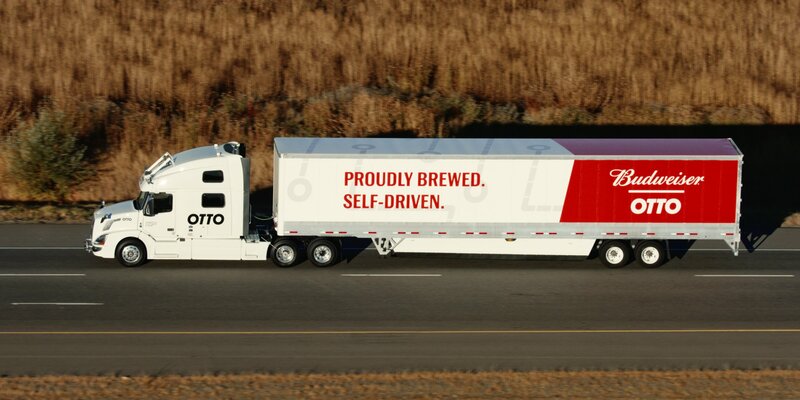 The Uber-owned Otto self-driving freight truck successfully made its first delivery by carrying out a massive beer run, to the tune of 2,000 cases of Budweiser, from a weigh station in Fort Collins, Colo. to Colorado Springs. For those keeping count at home, that comes out to traveling 120 miles with approximately 45,000 beers onboard. Impressively, Uber’s truck, Otto, maintained an average speed of 55 miles per hour for the duration of the trip, which I guess should be expected seeing as how Uber paid $680 million for the vehicle. At the moment, Otto is pretty much independent in its daily activities from Uber and CEO Travis Kalanick as Kalanick said the company was not involved in the logistics of the delivery. Plant Based ‘VetiGel’ Stops Bleeding Instantly!